This collection is so you and I just love the piece you made with it. The quilting motifs just add that special touch to such a wonderful quilt. This is a perfect quilt for you and for these fabrics. 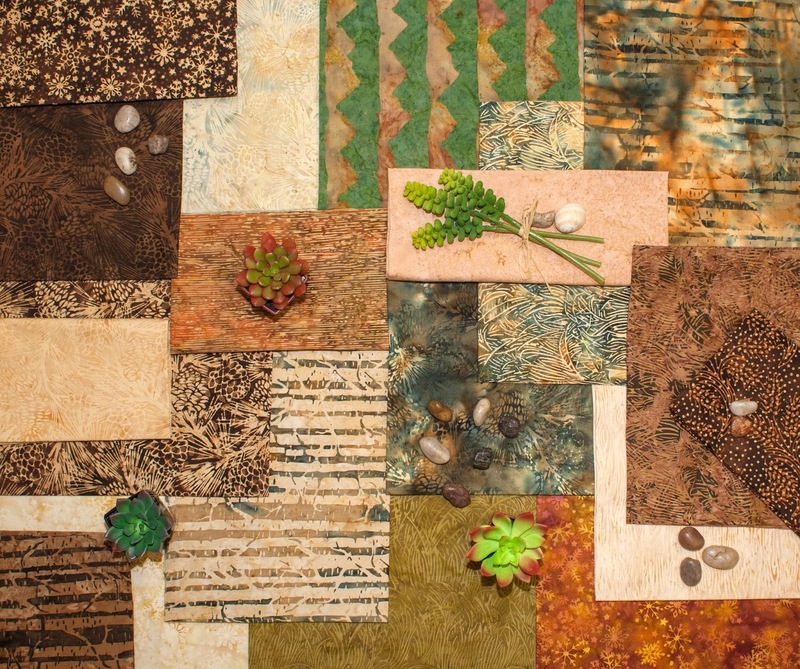 Love all the animals you have included and the quilting in the plain blocks looks wonderful! This is gorgeous, Joan. You really know your "wild life"!! Love the fabrics and how you put them together. Your trees are really cool. Beautiful quilt, love the animals and pinecones. You know i love these round ups. So great to see what everyone has done. You won't be alone dreaming of that log cabin! 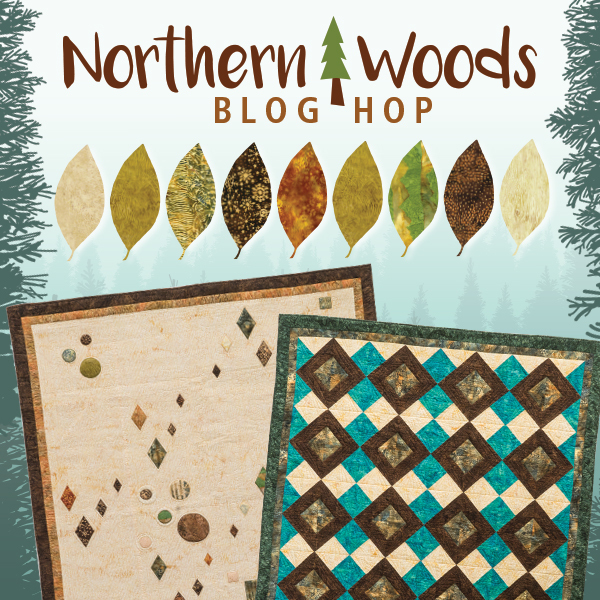 You used your talents and gifts and created the "Purrfect" Northern Woods quilt with these gorgeous fabrics. I know all your critters will be attending the Northern Woods "Furball". Thank you again for such a beautiful contribution to the hop! I love, love, love your quilt! Thanks for sharing. That collection is perfect for you. It turned out beautifully with all of that pretty applique and stitching. 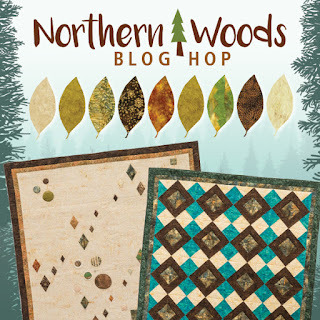 I rushed out to buy Northern Woods when you first posted this gorgeous quilt. I bought enough to satisfy whatever construction whim takes over ☺. It's patiently waiting for me to finish a few projects with deadlines. Thanks for the fun blog hop and another look at this log cabin beauty! Beautiful work Joan! What a awesome quilt! This really is right up your alley. love it.